Breeze Enclosures, Inc. specializes in designing and building handcrafted Florida rooms (glass sunrooms), pool enclosures, and screen rooms. If you are a homeowner in the Florida panhandle, you know we live in paradise. Why not enjoy your lawn or pool, in comfort, year round, with a custom glass or screen enclosure? 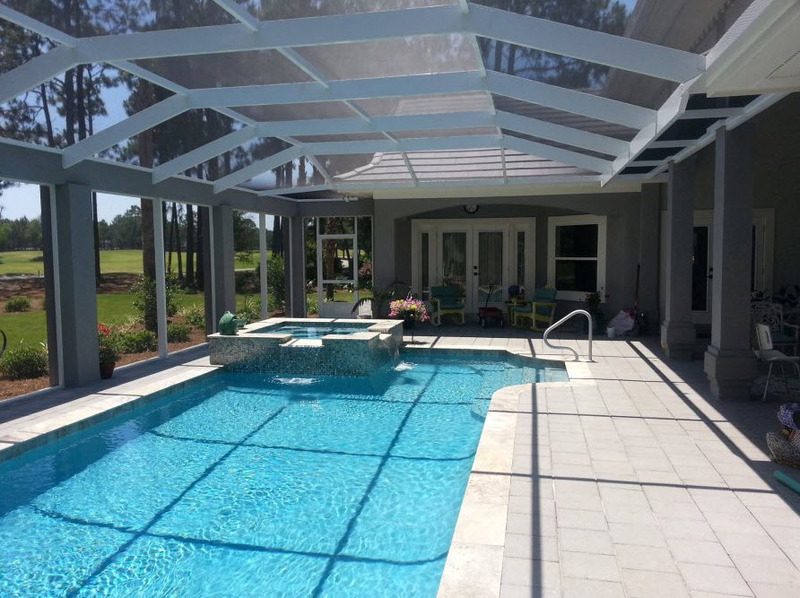 Installation is a “breeze” when you hire the pool and screen enclosure specialists, Breeze Enclosures, Inc.
We have over 20 years of experience building glass, pool, and screen enclosures, all over the gulf coast. We provide award winning service, and have become the first choice builder, by homeowners, in northwest Florida. Our attention to detail is second to none! We pride ourselves in building the best enclosures, in the industry. Whether it’s one of our pool enclosures, screen rooms, glass rooms, carports, patio covers, or some other home improvement need, we make it a “Breeze”! “Mike and his guys built us beautiful pool enclosure. When Mike came out for the estimate we knew we were going to use him. His professionalism stood out above the other companies we had received bids from. From start to finish he and his team were a pleasure to do business with. The job is perfect! I tried to find something to complain about but couldn’t. I recommend Breeze Enclosures and Mike to anyone thinking about doing any enclosure work.